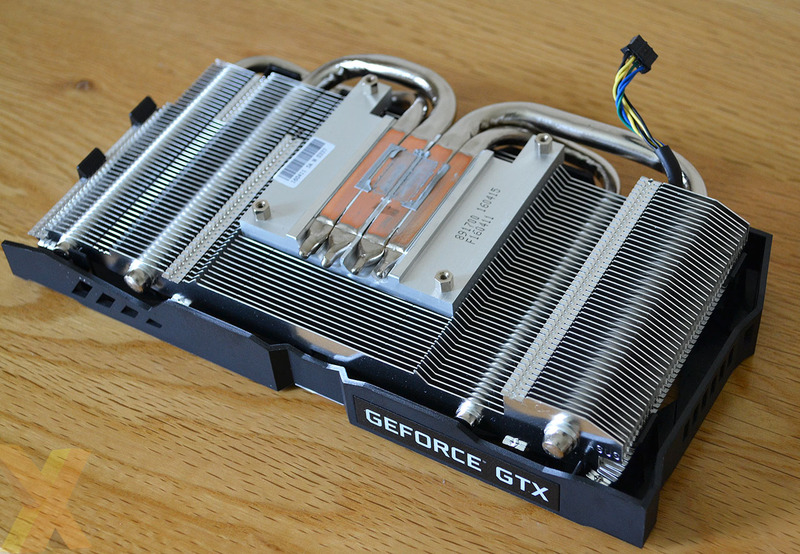 There are always incremental ways of increasing performance on graphics cards. As yields improve over time, partners are able to push to higher frequencies and, some at least, indulge in out-of-the-box memory overclocking. 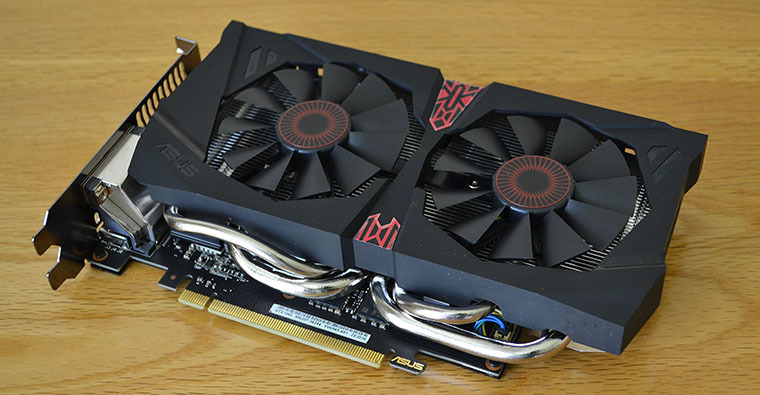 Then there are manufacturer-led improvements that serve to bolster the appeal of various GPUs, particularly when the competition comes swinging with rival cards. Nvidia has done just this with the release of a new, improved specification for the GTX 1080 and GTX 1060, whose memory speeds are uprated from 10Gbps and 8Gbps to 11Gbps and 9Gbps, respectively. The simple truth is that evolution of GDDR5(X) memory and the GPU controller's ability to run at higher speeds has made this an easy transition. Distinguishing between the 'old' GTX 1060 and new GPU, outfitted with faster memory, is done by either perusing the spec table or seeing that 9Gbps speed emblazoned on the box. Asus goes for the latter approach with the appropriately named GTX1060-O6G-9GBPS. It is interesting to see that Asus has outfitted the only 9Gbps variant with a cooler that we've seen on the GTX 960 before. This means it's presented in a dual-slot form factor, measures 218mm long and, obviously, uses two fans that switch off at low loads. There are more extravagant coolers in the Asus range, mostly used on the Strix cards, so moving back to this one means there's no RGB lighting, Aura Sync or, arguably, enhanced cooling from the wider triple-fan design employed on genuinely high-end models. That's not to say this one is bad, however, and it should be plenty sufficient to keep the underlying GPU cool and quiet. Asus aids cooling by adding in a backplate, and you can see just how small the PCB actually is. We like the fact that Asus matches the card's performance potential with a cooler and build of the right size, making this iteration a better fit, quite literally, for smaller systems. Power is sourced from a single 6-pin connector down one side. As usual, the card ships with two sets of frequencies that correspond to Gaming (default) and OC modes that are activated by installing the Asus GPU Tweak software. The card hits base and boost speeds of 1,594/1,809MHz - a figure that is consistent with the faster-clocked GTX 1060 6GB cards out there. The OC mode, meanwhile, inches this up to 1,620/1,847MHz. You truly get an idea of how compact the PCB and GPU is when removing the simple quad-heatpipe cooler. The flattened heatpipes make good contact with the core but the card relies on airflow alone to cool the 6GB of Samsung memory, clocked at 9,026MHz in this instance. Dual-link DVI, a pair of DisplayPort and two HDMI are the standard arrangement on the GTX 1060. One by-product of going for an open cooling design of this ilk is that hotter air recirculates back into the chassis, evidenced by minimal airflow coming out of the back. Asus has built the 9Gbps variant of the GTX 1060 6GB GPU with simplicity in mind. That's all well and good if price is competitive, but that's where a very large stumbling block comes into view. Being new and commanding a premium over the standard GTX 1060, this OC version retails for a whopping £325, or £100 more than a decent, albeit marginally slower, GTX 1060 6GB and, probably more alarming still, very close to an overclocked GTX 1070 from Asus, too. Price looks to be a huge impediment, though we'll run the numbers before passing judgement.